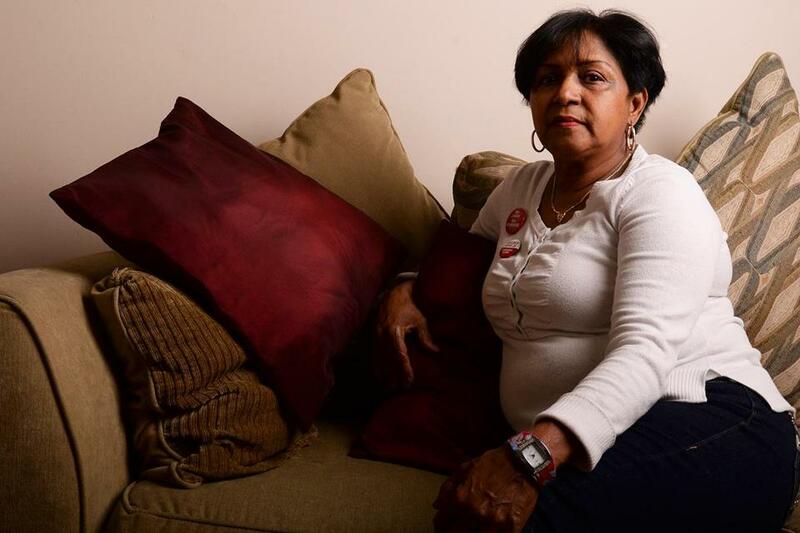 Wanda Rosario was one of the 98 housekeepers Hyatt fired and replaced with lower-paid workers. Hyatt Hotels Corp. has agreed to pay $1 million to 98 Boston-area housekeepers who were fired five years ago and replaced by lower-paid, outsourced workers, at the time triggering a backlash that drew national attention — and a stern scolding from Governor Deval Patrick. The settlement, to be announced Friday, could give some workers as much as $40,000, depending on their years of service. In exchange, the hospitality workers’ union that brokered the deal will call off its five-year boycott at the three full-service Hyatts in the area. The union estimates the boycott cost the hotel chain about $6 million. None of the Hyatt properties is a union hotel, but the workers, who unknowingly trained the people who would become their replacements, turned to the union for help after they were fired on the spot on Aug. 31, 2009. Housekeepers briefed on the settlement said the money will help, but for some, the bitterness still runs deep. In a statement, Hyatt said it was “pleased to extend assistance” to the housekeepers of the Hyatt Regency Boston, Hyatt Boston Harbor, and Hyatt Regency Cambridge. The agreement with Local 26 comes as Hyatt is vying to operate a 1,000-room hotel at the expanded Boston Convention & Exhibition Center planned in South Boston. The settlement could help pave the way for Hyatt to be selected, said James Rooney, executive director of the Massachusetts Convention Center Authority. The main factor is financing, Rooney said, but if the bids are close, labor relations could play a role. The firing of nearly 100 housekeepers after they unwittingly trained their own replacements triggered protests and a boycott of Hyatt hotels. Before they were fired, the housekeepers said, they had been asked to train the workers about to replace them — contract cleaners who they had been told would simply be filling in during their days off. These outsourced replacements made about $8 an hour with no benefits, according to the union, about half what the staff housekeepers made. Local 26 stoked community outrage over the firings, holding rallies in front of the hotels and organizing a boycott to keep travelers and business groups from frequenting Hyatt. Barbara Penzner, rabbi at Temple Hillel B’nai Torah in West Roxbury, drafted a petition signed by Jewish clergy members around the country and worked to keep religious groups from holding events at Hyatt hotels. Penzner traveled to Chicago to confront Hyatt executives and rallied clergy to disrupt shareholder meetings, actions that helped fuel a global Unite Here boycott against Hyatt over unsettled contracts and unresolved organizing campaigns in a number of cities around the world. Hyatt reached an agreement on those issues with the Unite Here international union last year, which Ellin said helped set the stage for the hotel chain to make the $1 million offer in Boston. Patrick, who met with the fired workers several times and appealed to the Hyatt chief executive to resolve the issue, said he and other state workers have informally boycotted the hotel since the mass firings came to light. Patrick has publicly intervened in a private business matter only once since the Hyatt incident: last summer, when he tried to help resolve the Market Basket boycott that erupted after the board fired chief executive Arthur T. Demoulas. “There may be some link between the Hyatt 100 and the Market Basket workers in the sense that the notion of a workplace fairness bottom line alongside the financial bottom line has a place,” Patrick said.